It’s that time of year again. The time when parents rejoice that school is about to start. I share on She Is Fierce HQ my experience on my daughter going back to school. Join me over here Don’t Miss the Bus: Getting Ready for Back to School. Have you ever had a situation at work where you have to drop everything you are doing due to the urgency of the item at hand? Do you feel like you are constantly taking care of the crises that arise on a daily basis? I know there have been many times that the urgent items in my day overtake the important and it feels like I am constantly scrambling. Take Sunday night for example. The urgent items of getting everything ready for my child to start pre-k overtook the items that I deemed important. I had planned on writing that evening. Instead, I prepped lunches for the week and filled out registration paperwork for 45 minutes. In retrospect this was important for me to do, but it became urgent when I didn’t plan out my time appropriately. This was both important and urgent for me to complete. Often we confuse what is important and what is urgent. Urgent items require immediate attention. They have to be accomplished or taken care of within a certain timeframe. Important items help you move towards accomplishing your goals and vision. When you schedule the important it creates a level of intentionality in your day and week. Important and Urgent: These items can be foreseen or unforeseen, as stated above. I had an important and urgent task to complete. In hindsight, it was so important that I should have scheduled it into this category to begin with. These tasks can be deadline driven, crises, or problems. Important and Non-urgent: These items help you further your goals and mission. These tasks could include personal and professional development as well as recreation. Non-important and Urgent: This area is what I like to refer to as the “fire drill” zone. It is a phone call or email that has to be taken care of immediately. If you do not have scheduled time to focus on the other areas, everything can begin to be lumped into the non-important and urgent. These tasks include meetings, activities, and any interruptions. Non-important and Non-urgent: The items that fall into this category are normally time wasters. It is ok to relax, watch tv, or play on your computer, but you can still be intentional about the time you spend doing such things. These tasks include time wasters, trivial matters, and busy work. How does this play out in real life? There are three ways you can approach this; your work life, your home life, or your whole life. 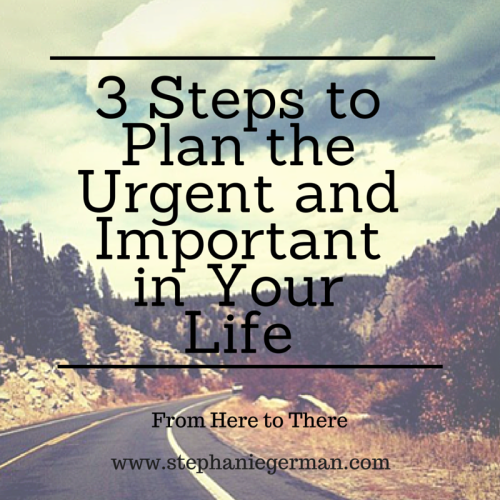 The good news is, whichever approach you take, you can utilize these 3 steps to plan the urgent and important into your life. Think through your life. If you want to focus only on work, think through a typical day and week. If you want to focus on hours outside of work, think about your home life. 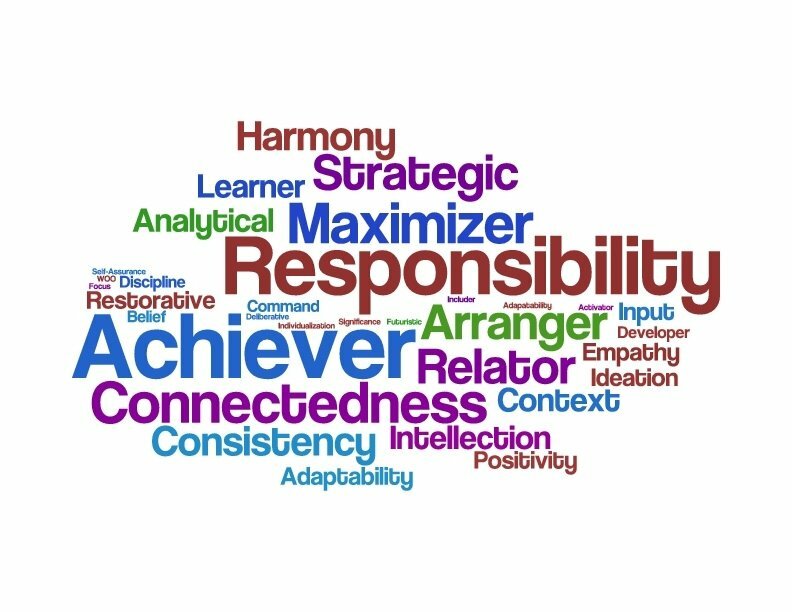 I would suggest you think through this exercise in a whole life approach, especially if there are people and goals that are important for you to accomplish. Now that you have thought through your specific areas, write them down in the corresponding quadrant. The items that fall into the first quadrant, important and urgent, do those. The items that fall into the second quadrant, important and non-urgent, plan to do those. The items that fall into the third quadrant, not important and urgent, delegate those tasks (if possible). The items that fall into the fourth quadrant, not important and not urgent, drop those tasks. This is the most important step. Pull out your calendar and place the items on your calendar that fall into quadrant one and two. Those are the items that have to get done. You really want to schedule time for the important and non-urgent, as those are the items that are important but often are overlooked because of the urgent items that come up. Life can seem like a giant fire drill. Knowing where your different responsibilities and priorities lands in regards to important vs urgent can help you plan out your day and week. It all starts with an understanding of the decision matrix, thinking through your life, and then planning according to the important and urgent, also known as your priorities. This isn’t an exact science, but an art. It will help you move in the right direction. Have you ever completed this exercise? If not, what is stopping you? Share below! Is there something in your life that you want to accomplish but you continue to push off? You come up with excuse after excuse as to why you can’t accomplish the goal? I have a list of things I want to accomplish. But they usually stay on that list unless I set aside time and put forth effort. 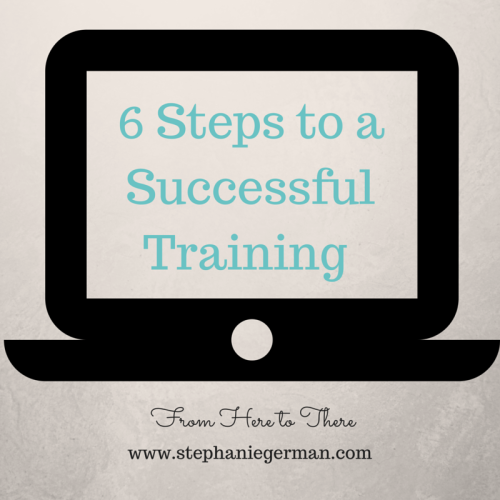 It’s easy to get bogged down with all the things we want to do and then never accomplishing them. Every Monday I want to help you take an action step to accomplish a goal that is important to you. This could be as simple as cleaning out a closet that you have been putting off week after week. It could be a goal focusing on exercising (which is something I need to get back into doing!). It could be a goal to begin meal planning. It may be even be a goal to read a couple chapters in a book that you been putting off. The goal has to be something that’s important to you, otherwise you will never work towards accomplishing that goal. Nothing in your life will change unless you choose to change it. The only way we change or accomplish anything is to state that goal and then have accountability. Every Monday I want you to come up with an action step towards a goal you want to take. Something you want to accomplish. What does this really mean? It means establishing a goal that you can really accomplish! 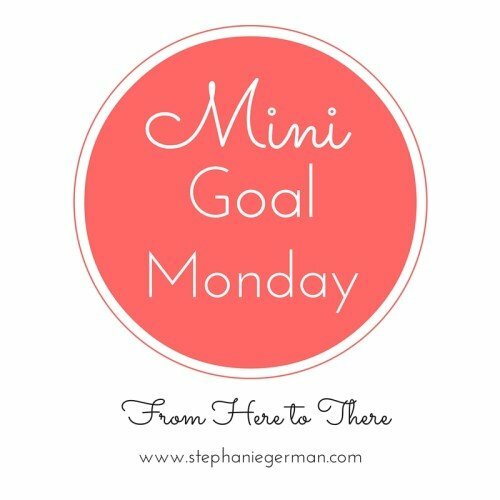 Once you know what you want to accomplish, head on over to www.facebook.com/stephaniegerman, find the Mini Goal Monday post, and let me know what you want to accomplish for that week. I’ll check in with you periodically to see how you are doing. Again, this doesn’t have to be a huge goal. Small victories lead to continued success. I want to help you live a prioritized, purposeful life. And this is one small step in that direction.